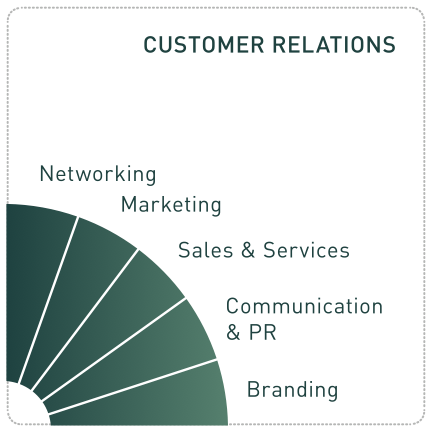 The GrowthWheel framework is used to start structured conversations about a business, and helps the entrepreneur identify opportunities and challenges of the company. Avoid blind spots using the framework and identify the most important focus areas within your client’s business. Our wheel serves as the main checklist for what steps to take next. —Make a screening of your business. GrowthWheel breaks down the 4 challenges into 20 Focus Areas. This gives a 360° view on business decisions and maps out what areas your client needs to focus on. Networking to meet the right people. Choosing the right way to do marketing and organizing an effective sales process. Getting in the media and on the customers' agenda through communication and PR. Living the values that shape the branding of the company. 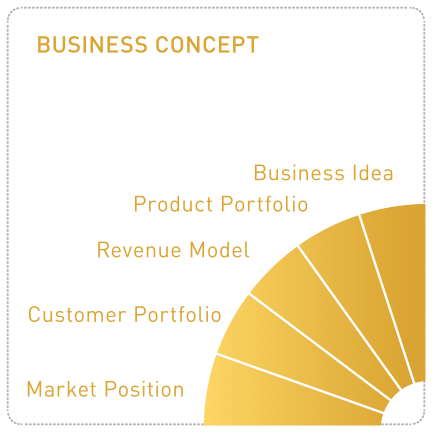 Getting the right business idea and designing the right product portfolio. Selling it to the right customer segments using the right revenue model and doing so while maintaining a strong market position. 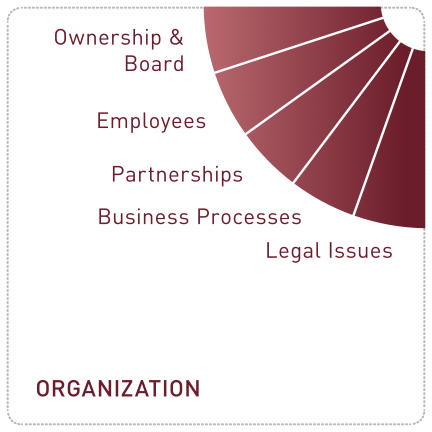 Finding the right ownership and board, recruit and develop the right employees. Outsourcing tasks through partnerships with suppliers and contractors and mapping core business processes. Having the legal framework in place for working together. Making sure the right financial practices are in place and ensuring that there is enough funding for profitable investments to be made. Setting up the right production and delivery system to secure profitability, IT-systems to make operations profitable and facilities that makes the operations effective.